The 15thMpumulanga Championships held on 28 & 29 May 2016 went off without a hitch. HTS Witbank once again proved to be a wonderful host, under the guidance of Louis Brown (the Provincial Director) and MSSA's umpires (Ryan Boyes, Morizane Boyes, and Ewan Retief). Eleven clubs from three provinces participated in the event which enormously increased the level of competition and excitement. With the Mpumulanga Championships being the last championship before the National Team Trials to be held on 4 June 2016 (at St John's College, Houghton, Johannesburg), some players were desperate to do there last minute preparations for such National Team Trials. The National Team Trials are to select South Africa's official Protea eSports Team to attend IeSF's 8th World Championships to be held in Jakarta in October 2016. Needless to say, the Mpumulanga Championships were the most enjoyable championships held by MSSA this year. In Morabaraba, Nombulelo Gavin, of Fakkel School inn Sasolburg, continued with her winning ways. After having won the Fezile Dabi Regional Championships on 11 May 2016, Nombulelo romped home to take first place, and to earn Free State Provincial Colours for herself in the process. There is no doubt that Nombelelo will go far. In League of Legends, Team Vapour, from Sasolburg High, continued to stamp their authority on the game. 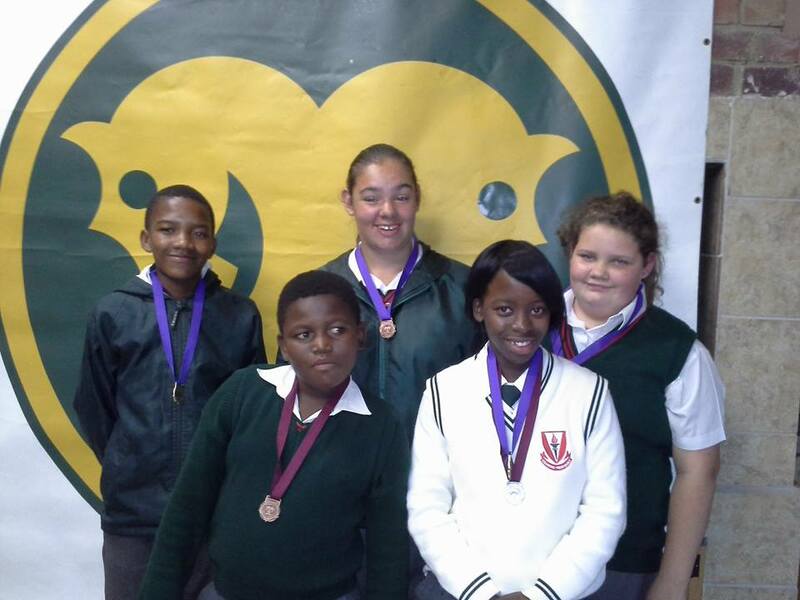 Having won the North West Provincial Championships, the Online Schools Championships, as well as having finished third in the Online provincial Championships, the school team romped home to victory in Mpumulanga to take yet another title. Team Vapour has thus become the first team in South Africa to take all three such titles. In FIFA, Kyle Turnbull, of HTS Witbank, has again proven his worth. It seems as though Kyle just can not be beaten. Kyle remains unbeaten in Provincial and National Championships in South Africa for the successive third year in a row. Truly Kyle is setting the standard for FIFA. Likewise, Baber Abbas, in Tekken Tag Tournament and Street Fighter V, is the man to beat. Baber too remains unbeaten in official events. Please note that 15th Mpumulanga Championships is the last chance for players to qualify for the eSports National Team Trials to be held on 4 June 2016 at St John's College, Houghton. The 15th Mpumulanga Championships is at HTS Witbank. What does MSSA have to offer South African gamers? MSSA offers a huge amount to South African competitive gamers. It has taken years to get the government and older sports bodies to take gaming seriously. To give you an example, in 1987 when MSSA requested to become affiliated to the Confederation of South African Sport (COSAS), the request was initially denied. By sheer perseverance and determination (allied with strong arguments), COSAS finally acceded to the MSSA’s request and granted the MSSA membership into the greater body of sport. This was indeed a huge triumph as the Springbok Colours Board also accepted MSSA as a result thereof and granted Springbok Colours to the MSSA’s team. Through careful politicking, the MSSA also joined the anti-establishment National Olympic Committee of South Africa (NOCSA) and formed a firm friendship with the late Bill Jardim. With such recognition comes total accreditation of eSports as a sport. Protea Colours have been awarded since 1994 to deserving teams which represent South Africa in international events. Some gamers may scoff at the fact that Protea Colours are now awarded, but they are those who have never experienced the joy and full benefits of being part of that select few that have officially represented South Africa overseas. Apart from Protea Colours, there are National, Provincial, and Provincial School colours that can be earned. Allied to the colours awarded by the MSSA, there are the sporting colours that are awarded by both Universities and Schools alike. There too are the bursaries for which well deserving gamers can apply. The amounts differ from university to university, but such bursaries make a substantial difference to the costs of studying at university. Other benefits include National Lottery Funding, the improved ability of obtaining sponsorship, local government support, and most importantly… having a voice to direct the future of eSports. With MSSA being an Universitas all clubs that are fully-paid-up members have rights in voting on issues and have the right to propose issues. This means that the gamer actually takes control over the games which they play and love. MSSA is NOT a monolithic structure and has to comply with the wishes of the majority of its members. Thus whatever MSSA does, it is because the majority of the membership wish it to be done so. In this way MSSA is unique. MSSA is not driven by market forces and by pursuing profits at every turn, but is instead driven by what its membership wants. Get your application in - ASAP! The Wits Wargames Club can trace its origins back to 1979. 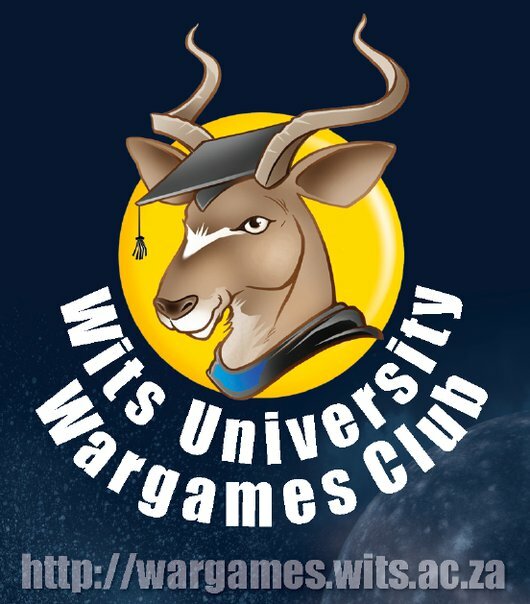 Back then a few avid gamers got together with their wargames figurines, board games, Ataris, and Sinclairs to found the Wits Wargames Club at the University of the Witwatersrand. The club then proved to be the foundation for the creation of the Transvaal Wargames Association and ultimately for Mind Sports South Africa itself. The club has over the years produced many a player for the National Protea Teams, and, as a result, many a Witsie has earned their 'Blues' for representing the country. Not only have Witsies represented the country with pride, but they too have participated in the management of eSports on a local, national and even international level. Thus, it is once again time for top gamers to get their nominations in for a sports bursary. Such players think that they can win and thereby earn a new computer. Both of the above two reasons show the real state of South African gaming. The two reasons show that South African gaming is still in its infancy. South Africans would rather play among themselves than test their metal against foreign competition. This may be due to players not having any faith in themselves, or that they, as yet, do not take gaming seriously enough to see if they are able to compete against players from other countries. It also shows that South African gamers choose the 'quick-and-easy' path over the more difficult road to international competition. Why spend years developing players when you can take the short-cut and get instant gratification. Of course it is less rewarding, but at least you have a chance of winning it! Then of course, there is the lack of commitment. In all other sports athletes commit a great deal of time and own resources in the pursuit of excellence. Gamers, to be truly competitive, must be single-minded in their approach, and tough - really tough, if they want to make it in competitive gaming. The World Cyber Arena 2016 (WCA2016) China and APAC Pro Qualifiers Season 1 (S1) finals took place at the China National Tennis Center in Beijing on May 21. 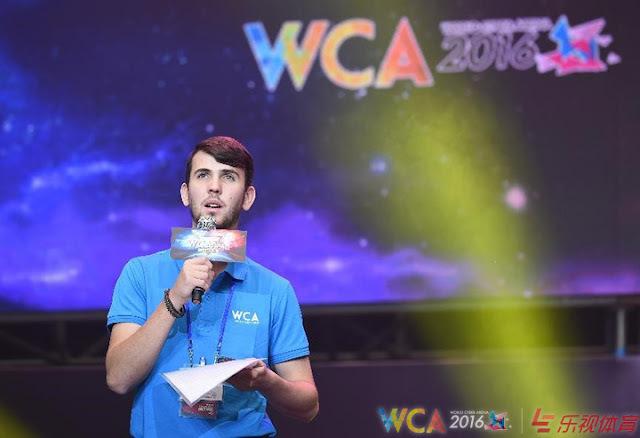 Fifty-seven players in teams from China, Australia, South Korea, Malaysia and Philippines won in the six official games, including CS:GO, Hearthstone, Dota II, StarCraftII, Warcraft 3, and COS, have advanced to WCA2016 global finals that will be held in Yinchuan, capital of northwestern China's Ningxia Hui autonomous region this December. The event was opened by Thomas Brown (from All Stars Club, Witbank, South Africa) who is the first South African to referee an international eSports event on foreign soil. The WCA, held by Yinchuan government and Yinchuan International Game Investment Co Ltd, is an international e-sports event that has been held thrice. Under the slogan "Hero's Arena, Player's Dreamland", it is committed to promoting the developments of e-sports events and the sector and attracting more people to participate in e-sports. China's e-sports sector has boomed in recent years under positive policy and social environment. The number of e-sports users has reached 124 million and the output value of the e-sports sector has reached 27 billion yuan by the end of 2015, and the overall market of e-sports in China is expected to exceed 50 billion yuan in the future, according to the 2015 China e-sports Game Analysis Report released by iResearch, a Chinese consultancy company. According to WCA spokesman Li Yanfei, the E-Sports industry has a large amount of enthusiastic young fans that should not be underestimated. As the titled sponsor of WCA2016, Lesports of LeEco Holdings Co, enters the field to create an e-sport ecosystem, Lei Zhenjian, founder and Chief Executive said with the government's positive promotion and capital pouring into the sector, e-sports is rapidly rising in China. "The standards and business model of e-sports still needs to mature. And as a young sector, e-sports has diverse possibilities in its profitability," said Lei. 1st Fezile Dabi Regional Championship - a success! Winners - one and all! Mind Sports South Africa (MSSA) is dedicated to development. Thus MSSA has a programme of hosting championships in as many of South Africa's regions as possible. Clubs are encouraged to buy-into the programme by hosting the events and to profit from such events through earning entrance fees, obtaining press, and discovering new members. Leonard Loftus of the club, Masters of eSport, excelled himself by running a top-class event. The event had 61 contestants battle it out to see who would walk away with Regional Colours and the eligibility to enter the National Team Trials. Please note changes to the official Calendar of Events. Ancol Beach Auditorium, Jakarta, Indonesia. The IeSF's Referee course is under way!